FASHION HOUSE Group, an expert in establishing the outlet sector in emerging markets, continues its expansion in Russia. During the 2012 MAPIC exhibition the company finalized with ZAO Partnerskaya spetzializirovannaya kompaniya “Outlet- Centre Yekaterinburg” an agreement regarding the development of a FASHION HOUSE Outlet Centre in Yekaterinburg which will be the Group’s first franchise project. According to the terms of the agreement, the new FASHION HOUSE Outlet Centre will be situated on the North-East ring road of Yekaterinburg which guarantees a total catchment area of 2.4 million inhabitants within a 90 minute drive time. With a GLA of 18,000 sqm, the scheme will be home to 105 store units, a food court and a parking lot for 1,100 vehicles. Its architectural theme is meant to exhibit classic and traditional architecture whilst the interior design theme will boast the “Window to Europe” concept. – We are very happy about signing this contract and confident about the success of this project – says Brendon O’Reilly, Managing Director of FASHION HOUSE Group – As Russia’s fourth-largest city with a population of over 1,3 million and the third best retail location in the country, Yekaterinburg offers a great potential for the outlet sector. Upon opening in 2014 FASHION HOUSE Outlet Centre – the very first outlet scheme in the region – is bound to become an important shopping destination for the inhabitants of Yekaterinburg as well as those of surrounding satellite cities, such as Verhnaya Pyshma, Berezovsky, Aramil, Sredneuralsk. The contract was signed with ZAO Partnerskaya spetzializirovannaya kompaniya “Outlet- Centre Yekaterinburg”, a Russian limited liability company. – Since we are new to the retail industry, we decided to team up with FASHION HOUSE Group, whose proven outlet concept and expertise in dominating new markets are to us the best guarantee of success – says Bogdan Novorok, Chairman of the Board of ZAO Partnerskaya spetzializirovannaya kompaniya “Outlet-Centre Yekaterinburg”. – I strongly believe that thanks to this project together we will provide not only a modern outlet centre, but also create 2000 new workplaces and a strong footfall of customers which will contribute to the development of local infrastructure – Bogdan Novorok adds. The outlet centre in Yekaterinburg will be FASHION HOUSE Group’s first franchise project. The company offers a unique one-stop, low-risk, full-service package with all the experience and expertise that any investor and developer looking to enter the booming outlet sector could want. – In today’s economic conditions, specialist outlet expertise is an essential part of a successful project. – says Brendon O’Reilly, Managing Director of FASHION HOUSE Group. 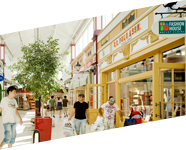 – With four outlet centres trading in Poland and Romania and another 84,400 sqm under development, including projects in Moscow and St Petersburg, we’ve most definitely got what it takes to make new outlet markets easier. – Brendon O’Reilly adds. According to the terms of the agreement the franchisee will provide the suitable plot of land, and will be responsible for the planning and construction process. 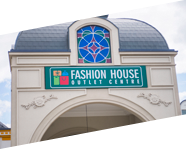 FASHION HOUSE Group, as the franchisor, will provide all the needed know-how regarding the concept, design, value maximization, institutional verification, leasing management and operational management. 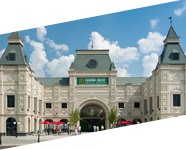 The first FASHION HOUSE Outlet Centre opened in 2004 in the southern Polish town of Sosnowiec, near Katowice. 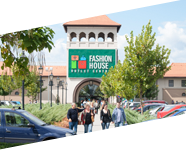 Nowadays, FASHION HOUSE Outlet Centres offer over 250 international brands to 10 million customers on a total lettable area of over 70,000 sqm in Poland and Romania every year. Furthermore the company is currently developing its second project in Bucharest, and is expanding into the Russian and Ukrainian markets, which gives a total lettable area of 84,400 sqm under development.